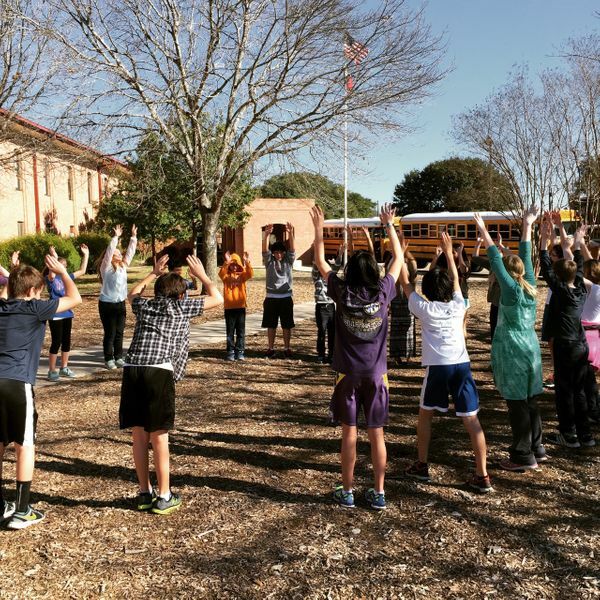 After kids were forced to sit for three hours for benchmark testing, I was (extra) delighted to see Ms. Stringfellow's class outside, not only enjoying the amazingly warm weather, but learning words in Chinese that corresponded to actions such as 'jump, clap, raise your hand'. Students would do the motion when Ms. Stringfellow said the word. A great formative assessment strategy as well.